The EVO pet food line is produced by Natura, which in turn is owned by Proctor & Gamble. The EVO line is geared toward an alternative to raw foods, with a cooking process designed to lock in nutrients that your pet will need to thrive. EVO states that it is the “ancestral diet, evolved,” and that it offers gluten-free products and natural ingredients. Interestingly, EVO sells food not only for dogs and cats, but for ferrets as well. Brand line includes: Turkey & Chicken Formula Large Bites Dog Food, Red Meat Formula Small Bites Dog Food, Herring & Salmon Formula Adult Dog Food, Weight Management Adult Dog Food, Senior Formula Dog Food, Turkey & Chicken Formula Cat & Kitten Food, Weight Management Adult Cat Food, 95% Beef Canned Cat Food; EVO also has ferret food as well as various treats for dogs and cats. 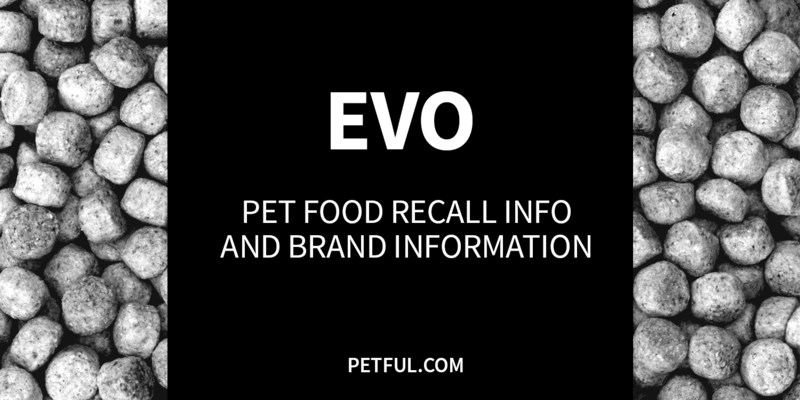 Has EVO Pet Food Ever Been Recalled? Yes. In fall 2014, a few lots of dry cat food and one lot of dry ferret food were pulled because they didn’t have the correct amount of vitamins/minerals. Earlier, in 2013, came a much wider recall where the entire EVO line was pulled because of potential salmonella contamination. That recall began with a limited amount of product, and was expanded twice before declaring a recall on all EVO and Natura items manufactured with expiration dates before March 25, 2014. It was soon expanded yet again, to include all products with an expiration date of June 10, 2014 or earlier. Cause: Potential for salmonella. Announcement: FDA report dated June 18, 2013. What was recalled: EVO dry dog, cat, and ferret food and biscuits/bars/treats – all lot codes, UPC #s, and package sizes, but ONLY expiration dates before June 10, 2014. Have You Had a Problem With EVO?